Before you bid farewell to 2016, make sure you’ve done your tax-related homework to end the year on solid financial footing. 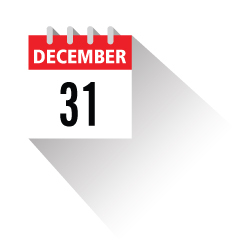 Many financial tasks need to be completed by Dec. 31 to count for your 2016 taxes. “It is always in your best interest to seek out the advice of a professional in regards to investments and taxes to make sure you finish 2016 on a good note financially,” says Tim Gau, IRA associate at Dupaco Community Credit Union. Give to your favorite charities and drop off any other donations by Dec. 31. If you’re donating money to a charitable organization, your check will generally suffice as a receipt if the donation is less than $250. Anything over that amount requires a written receipt from the recipient. If you’re 70½ or older and have an Individual Retirement Account, make sure you have taken your required minimum distributions for the year by Dec. 31. 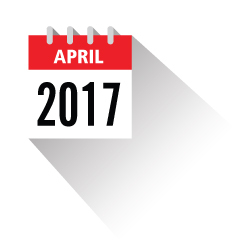 You have until April 18, 2017, to make contributions to Traditional and Roth IRAs. Check with your tax advisor to determine whether your contribution will be tax-deductible and to ensure you’re contributing to the right account. “You might need to look into utilizing IRAs to reach your financial goals for 2016,” Gau says. Each state’s college savings plan carries its own contribution limits and deadlines. If you make contributions to a 529 plan, verify your plan’s rules. Iowa taxpayers can contribute to their College Savings Iowa 529 accounts until the state’s income tax-filing deadline, which is generally April 30. Consider contributing to your accounts—such as 529 college savings plans, IRAs and other retirement or investment accounts—automatically and systematically throughout the year. “For a lot of people, myself included, it’s much easier to budget for a certain amount each month rather than waiting until the last minute and trying to come up with a full year’s worth of contributions,” Gau says. 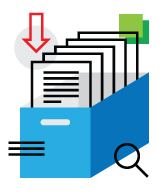 Use a charitable contribution tracker, such as TurboTax ItsDeductible, to input and keep tabs on your charitable contributions throughout the year. You will thank yourself when it’s time to file your taxes. *Everyone’s financial situation is unique; it’s important to talk with a competent tax advisor about your situation.